Despite popular rumors to the contrary, former Gov. Ed Rendell does not believe that Vice President Joe Biden will run in the 2016 Democratic presidential primary. There has been speculation on this topic and supporting arguments for each possibility. Some believe he is unlikely to run due to the difficult recovery he is undergoing after the recent passing of his son, Beau Biden. The Wall Street Journal, however, recently reported that aides of the VP believe he is more likely to run than stand down. Moreover, recent reports state that some Biden supporters are discretely hiring staff in 11 key states, which they see as evidence of an anticipated bid. Although it is just conjecture at this point, Rendell made his perspective on the topic clear. “I think in the end he won’t [run]” said Rendell. Last week, Biden said there is “no rush” to make up his mind, so speculators will have to wait and see. Is there anything Ed Rendell doesn’t have an opinion about? This is just Ed carrying water for his girl. Obama’slooking at him like .he does look like deputy dog. Agree Rendell is working the refs. He isn’t a pundit, he’s a shill for his own agenda. Clinton-McGinty-Naughton and god knows what other losers who drink from the Rendell kool-aid fountain. We have had enough of Ed Rendell trying to control politics in Pennsylvania. Just STFU Ed. As per usual, Jerry Policoff’s comments are astute, informed, and logical. What a welcome addition he adds to the dialogue here. “Masturbation” and “urination” references by other commenters—- are definitely high school fantasies, not worthy of posting here and dismissed by most of us as serious commentary……..
Don’t forget that Rendell was the first to announce, as National Dem Chair ,that Gore lost to Bush,. Perhaps he should have said there were irregularities and spend whatever needed to be spent, in time and money, and insist on a new Florida election. Maybe we would not be still suffering from the Bush presidency. Politics is again raising some ugly heads. When Biden decides he will let us know. Til then keep pols out of the discussion, especially when they are so often wrong. Biden would hardly confide in Rendell because for once David Diano got something right: Rendell is a Clinton shill. What we are more likely seeing here is a warning shot from the Clinton camp warning Biden to stay out (there have been lots of those lately). At this point Sanders has to be taken seriously. The new national NBC/WSJ poll has him only 7 points behind Hillary Clinton and 18 points ahead of Sanders Biden. If Biden does run it increases both the chances that Hillary will not get the nomination and that Bernie Sanders will. The previous commenter’s crass comment about Sanders illustrates the low standard of political dialogue that has become standard on this site, though it does not rise to the level of Mr. Diano’s recent allusions to masturbation. You are a classy guy David. By the way David, there was an excellent article at Huffington Post the other day that explained in some detail why cell phone samples are a necessity in polling these days. It also went into the problems inherent in polling “likely voters,” which is something I did not get into, but I wholly concur. Those polls you have been touting from Harris and F&M, which exclude cell phone users and project “likely voters” are worthless. Oberver: I feel the Bern too but only when I urinate. Rendell is unquestionably a Clinton shill. However, I think if Biden was going to run, he’d be jumping into the debates. If Eddie says publicly it won’t happen, you can bet that he believes the opposite, and is trying to undermine Biden. In the end, Joe and HRC split the corporate dem money and votes, and Bernie wins, as champion of the little guy. Nice. 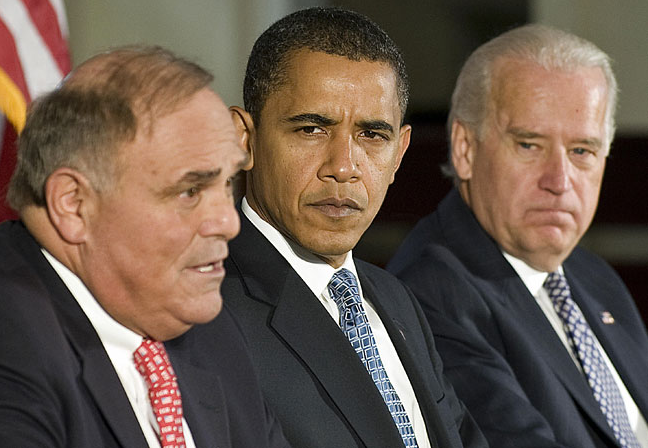 Rendell is “working the refs.” He has no clue what Biden will do. Rendell is only hoping to help Hillary—- and Hillary can’t win the general election.